Any large celebration that involves fireworks is fun, but while we enjoy the sounds and sights of colourful explosions overhead, our animals feel very differently.The explosions caused by fireworks have been known to give some domestic pets heart problems, nausea, tremors, debilitating fears and light-headedness. We all know that animals have far more sensitive hearing so you won’t be surprised to read that firework displays can leave pets with “acoustic stress”.During firework displays animals are often confused as to where the loud noises are coming from which makes them run frantically away. Unfortunately, this sometimes results in them being hit by a car. Other animals may be too close to the explosion and receive burns or eye damage as a result. If you keep chickens, you might find that they produce fewer eggs after a firework display.People of the town of Collecchio in the province of Parma in Italy are doing something about it. The local government has introduced new legislation forcing citizens to use silent fireworks as a way of respecting the animals and reducing the stress caused them.The company, Setti Fireworks make fireworks which produce a spectacular light show but without the deafening sounds normally associated with a firework display. 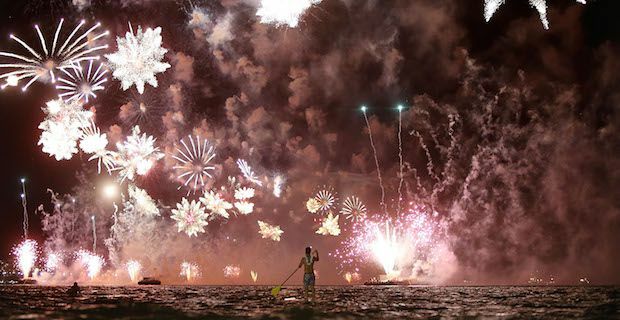 They design their fireworks to fit the venue and event that they will be used for.